Hidden Worldviews is not your average book addressing worldviews. There are no chapters on nihilism, existentialism, or Eastern monism (though a nod is made to The Universe Next Door, and James Sire even writes a blurb for the back of the book, calling Hidden Worldviews "an excellent compliment" to his own standard work). 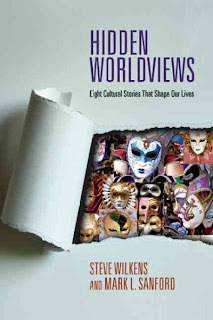 Unlike most other writers addressing worldviews, authors Steve Wilkens and Mark L. Sanford deal with what they call "lived worldviews". These lived worldviews include such ideas as individualism, consumerism, nationalism, moral relativism and salvation by therapy. They are so called because "we are more likely to absorb them through cultural contact than adopt them through a rational evaluation of competing theories. These lived worldviews are popular philosophies of life that have few intellectual proponents but vast numbers of practitioners". 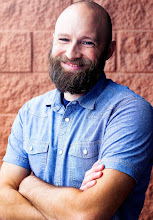 Because of the subtle nature of these ideas, Wilkens and Sanford suggest that there is a greater risk of such ideas being smuggled into and blended with Christianity almost unknowingly. Indeed, to the extent that the traditional worldviews pose a challenge externally to Christianity, these worldviews seem to be a challenge within Christianity as well as without. Every chapter deals with a specific lived worldview and details both the truth or good as well as potential problems of each worldview before drawing a conclusion. In this manner, the authors present a very even-handed treatment of each idea without sounding alarmist or too "Chicken Little". If I have had one frustration that keeps popping up during this first year of setting a significant reading goal for myself, it has been that, as the writer of Ecclesiastes would say, "there is nothing new under the sun". However, this book was an exception, a very refreshing read and quite unique in it's approach and subject matter. Overall, it was a very readable and enjoyable book, and one of my top ten for the year! This book was a free review copy given by InterVarsity Press Academic.